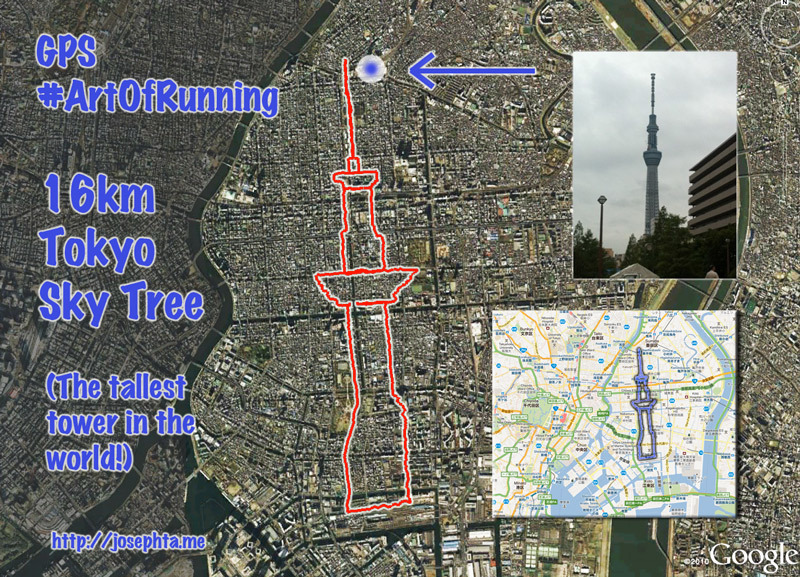 This morning I ran the new symbol of the city – Tokyo Sky Tree. 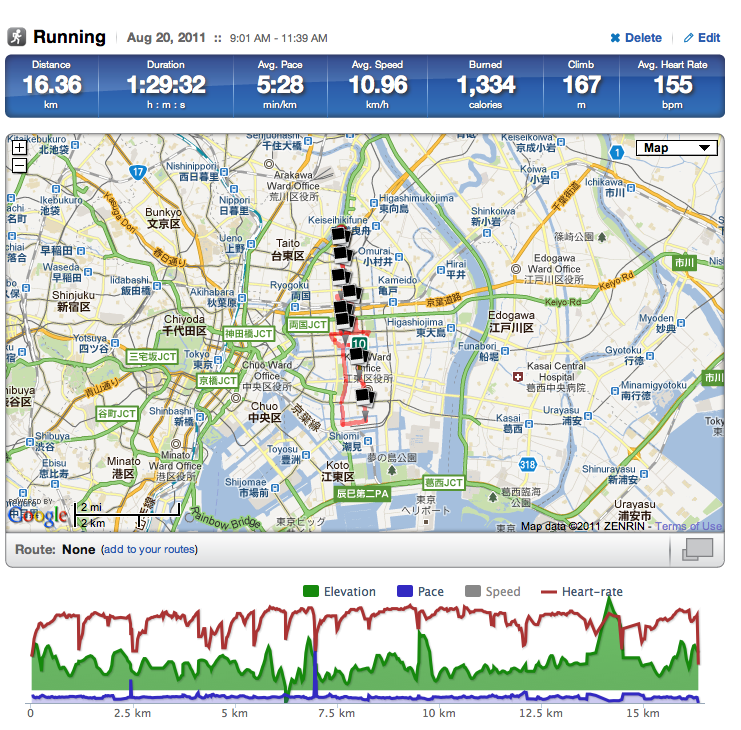 At 634m it’s the tallest tower in the world, and the second tallest structure in the world …until this morning, when I created a 5km tall version of the tower, starting just to the east of the actual thing, and continuing way down to Shiohama. The main challenge with this one was a couple of canals that I couldn’t cross – so I had to pause and restart having skirted round to the other opposite bank.